Most working DJs don't have roadies, and that’s where Odyssey moving equipment comes in handy. Odyssey Dolly Plates are perfect for getting your gear in gear. Made of the toughest materials, let them take the weight off your shoulders. 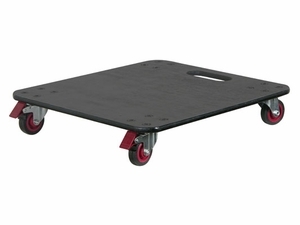 The ADP30E dolly plate is designed for most standard depth equipment and rack cases.